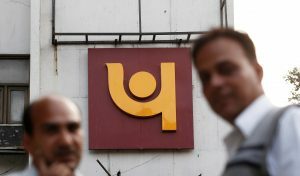 A billionaire jeweller linked to a $1.8 billion fraud at a Punjab bank kept asking for credit even after a nationwide bank bailout. He is now overseas, like disgraced liquor baron Vijay Mallya. The pair of bad-debt poster boys tarnish the prime minister’s anti-corruption fight. A court suspended Jay Y. Lee’s prison sentence. With Lee’s family symbolising the state of corporate Korea, any perceived leniency will be controversial. But this does not look like a return to the bad old days of executive impunity. In any case, both sides can still appeal. The Fed chief used her last day in office to slap a restraining order on the $2 trln U.S. bank. It’s mostly a symbol, and a late one: boss Tim Sloan has already started to clean up the company's act. But the Fed action could persuade Wells' new chair that it’s time for a change of leader. The scandal-hit retailer is planning early repayment of a $1.3 bln South African bond in return for releasing funds to cash-strapped European brands. Other mainly international creditors will be asked for waivers. It’s an early indicator of the unofficial pecking order. An accounting scandal has exposed the retailer’s warren-like structure. Creditors who are owed close to 11 billion euros face a fight for repayment. But the prospect of a messy restructuring may help keep Steinhoff afloat for now. Breakingviews offers a guide through the maze. Back in 1996, the Balkan state went wild for investment funds offering 30 percent monthly returns. The final cost was 2,000 lives and five years of lost GDP growth. Bitcoin’s 24 percent monthly gains in 2017 show similar foolishness, but a quick collapse could limit the harm. The UK’s Financial Conduct Authority collected 230 million pounds in penalties in 2017. Though that’s a big increase on 2016, the haul was skewed by a record fine for Deutsche Bank. It suggests hefty spending on tightening up controls is finally delivering some benefits. Carsten Kengeter is stepping down after failing to resolve an insider-trading probe. An aborted plan to merge with the London Stock Exchange also eroded support at home. But his departure leaves the German group ill-prepared to benefit from any Brexit-related opportunities. Rio Tinto has been accused by the SEC of hiding the plunging value of a coal mine it bought in 2011. The charges are serious, but at least accounting procedures are fairly clear. If only there were rules that could prevent mining bosses getting carried away during M&A upswings. Navient is buying student-loan refinancer Earnest for less than half its 2015 valuation. Even then, it'll eat into the buyer’s earnings and buybacks. Worse, Navient faces a fresh lawsuit over dodgy practices. Modern finance is feeling a lot like the kind it's supposed to replace. Freedom from regulation was the big draw of bitcoin, ether and the like. But exchanges established to trade them often lack basic controls on identity, fraud, tech and even volume. Without fixes, digital currencies will stay on the financial fringe, prone to crime and bubbles. Though the Barclays CEO has delivered on his targets the bank’s shares are down 16 pct this year, making it the UK’s worst-performing major lender. Self-inflicted regulatory and litigation worries haven’t helped. But concerns about headwinds in the U.S. and Britain are overdone. As its fake-accounts scandal keeps turning up new problems, the mega-bank may appoint former Fed Governor Elizabeth Duke to run the board. It would be a welcome but overdue response. A more drastic cleanup is required and the CEO has been at Wells Fargo too long to do it himself. Britain’s graft watchdog charged the lender and four former executives over its 2008 Qatari capital raising. It’s significant as the first set of charges brought against a major UK bank for crisis-era activity. But in the intervening decade Barclays, and the world, have moved on. The education secretary chosen by the founder of defunct Trump University is set to rework two Obama administration rules that targeted dodgy degrees. They could be improved, but more likely they'll be weakened. Students may need to be more vigilant and taxpayers could lose out. The $270 bln lender is being sued for changing bankrupt borrowers’ mortgage terms without consent even as its fake-accounts scandal unfolded. Home loans should've been squeaky clean after earlier missteps, too. The bank now run by Tim Sloan is struggling to get the basics right.